Japan's second city, Osaka, has a history as a lively seaport with a merchant population and a key role in rice distribution. The first ever futures market emerged from the rice trade in feudal Osaka and the city's futures exchange remains important today. This dense urban centre (which even extends underground) is open to Osaka Bay and boasts a subtropical climate. Crisscrossed by rivers and canals, it's famous for its many bridges, has plenty of parks and is rich in both Imperial and Buddhist historic sites, impressive museums and tourist attractions including a giant ferris wheel. IA bustling metropolis which has always had a strong middle class and is now a media centre, Osaka has a long-established, thriving cultural scene and ancient traditions such as Kabuki and Noh theatre and Bunraku puppetry are well represented alongside contemporary arts and entertainment and all-night clubbing. Shoppers love the modern malls and traditional Shōtengai arcades and there are shopping districts dedicated to fashion or cutting edge technology. Osakans appreciate food, and you'll find everything here from fine sushi restaurants to delicious fried street treats. So whether you love shopping, modern music, Japanese history or traditional theatre, you'll love Osaka. 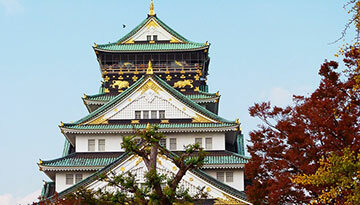 Discover Cheap flights to Osaka from Heathrow with these economy class offers at £449 return. 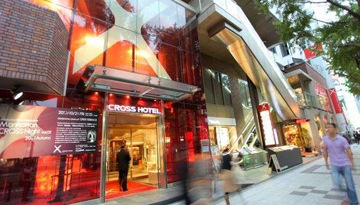 Luxury 4-star hotel provides a modern rooms & ideally positioned for sightseeing in Central Osaka. 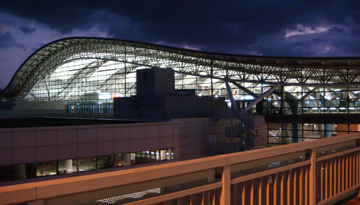 Fly from London - Osaka & Stay for 7 nights with 3 star accommodation. Room Only.